Publishing is a subtle way to tell you that your wedding was amazing. While every wedding is amazing, some standout as inspirational ideas for other brides. We do not have an idea what websites or blogs will want to publish but we submit it to the most relevant one. If your wedding is not selected, please don’t feel bad and think you had a wedding that was less than publishable. Our schedule also allows and restricts us to submit weddings. It takes about 1-2 hours to put a wedding together for publishing. So sometimes we can not guarantee a submission, but rest assured we will definitely try when we have the ability. To check out where we have been published click here! 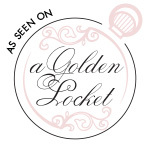 Also take a look at some of our published work in A Golden Locket, The knot, The Westchester Wedding Planner, and Wedding Window. Thank you for submitting your wedding! We will be forwarding it to our publishers!